In the morning I visit the Medeber markets and workshops. By now many of the workers know me, because I always bring them their pictures, if they pass the artistic quality test. I also brought 48 x 5 strips of chewing gum ('mastika' in Tigrinya) to Eritrea to share them as a small gift. Today I will hand out all that is left in the workshops. They are gone in less than a minute, as the news of the free mastika spreads very fast. A girl introducing herself as Seghen (English: Ostrich) asks me if I need tea. I invite her to drink tea with me. She directs me to a nearby tea bar on the Medeber compound. It is the smallest tea bar I have ever visited, making it also the coziest. The chat is about going to The Netherlands. When I show her my Eritrean wedding certificate, she understands my wife will not co-operate with her plans. When I leave the Medeber workshops compound, I observe a new building. When I get closer, I find out it is a new school. I ask the teacher near the gate if I can enter the school's compound for a picture. I am welcome. The children cry 'salena! salena!' which is Tigrinya for picture me! One of the teachers on the compound invites me to see the interior of the school. He shows me the three story school, and some of the class rooms, the library, the teachers room, the subterranean water storage and the other modern facilities. He tells me that the school was build and furnished with funds from China. It explains the Chinese courses in the library of the school. 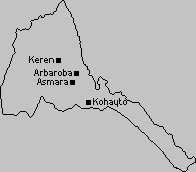 US policy to isolate Eritrea is gratefully inviting China to expand its presence in Eritrea. 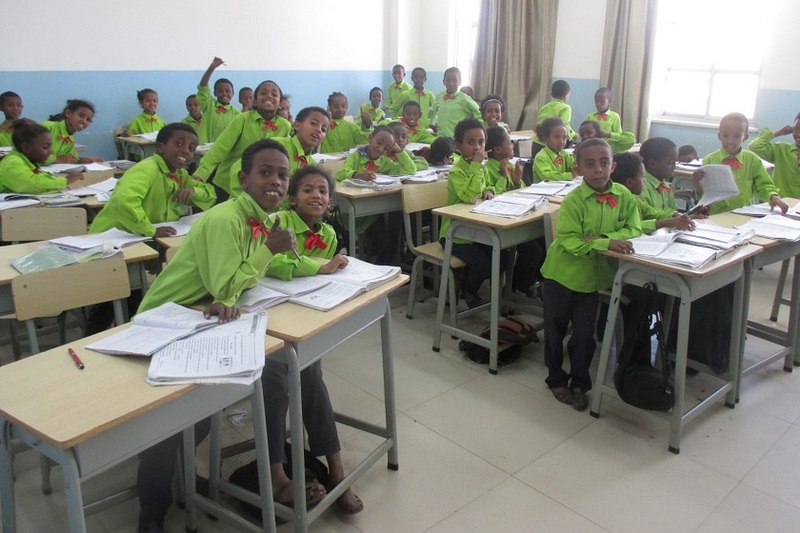 The teachers are proud to show me their class rooms, and making a picture is no problem at all. The children are also happy with the small interruption of their lessons. The library keeper proudly shows me the many books. Most in Tigrinya and English, and some in Chinese. When I visit Mr. Tekeste of Asmara Grande, I also find Natsuna Shinagawa, the tour manager of the Young Pioneers Tours. We drink some coffees in a cafe next to the Asmara Grande Office. Mr. Tekeste invites us to have diner with him. The choice of the restaurant is to me. I choose the Pizzeria Eritrea, to honor Mr. Fish who was so kind to prepare the entry cards for the evening shows in Cinema Roma and Cinema Odeon from May 16 up to May 21. We share a pizza and some Asmara beers and chat about our wonderful time in Eritrea, exchanging contact data. 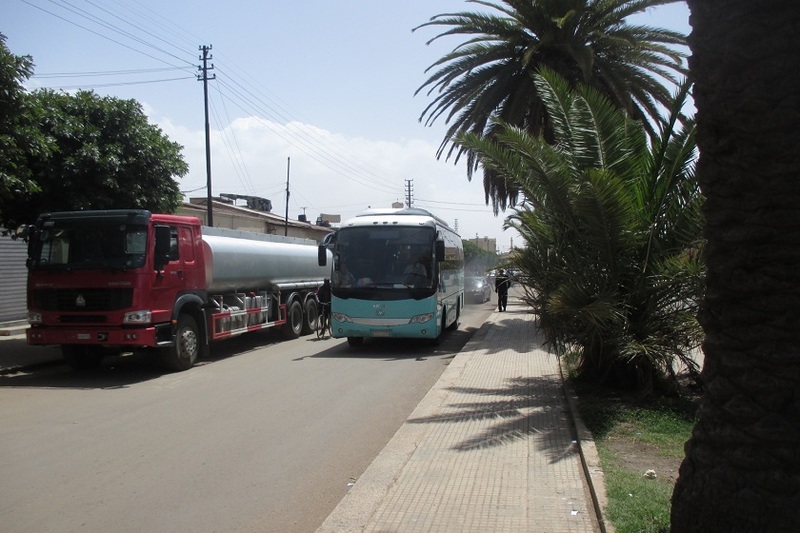 Nakfa Avenue - Medeber Asmara Eritrea. 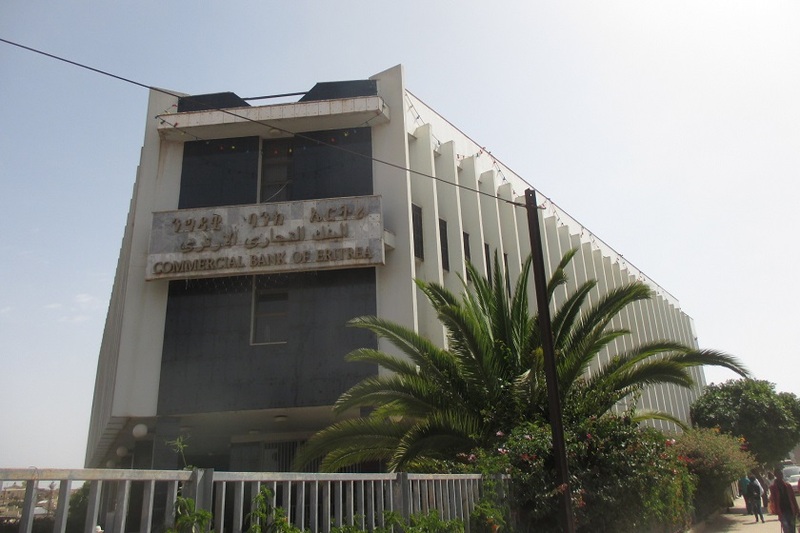 Branch office of the Commercial Bank of Eritrea - Medeber Asmara Eritrea. 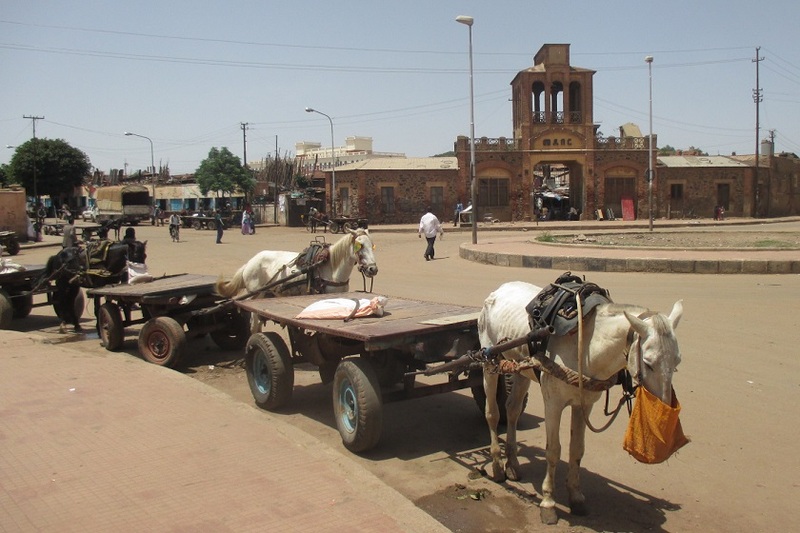 Godana Medeber - Medeber Asmara Eritrea. 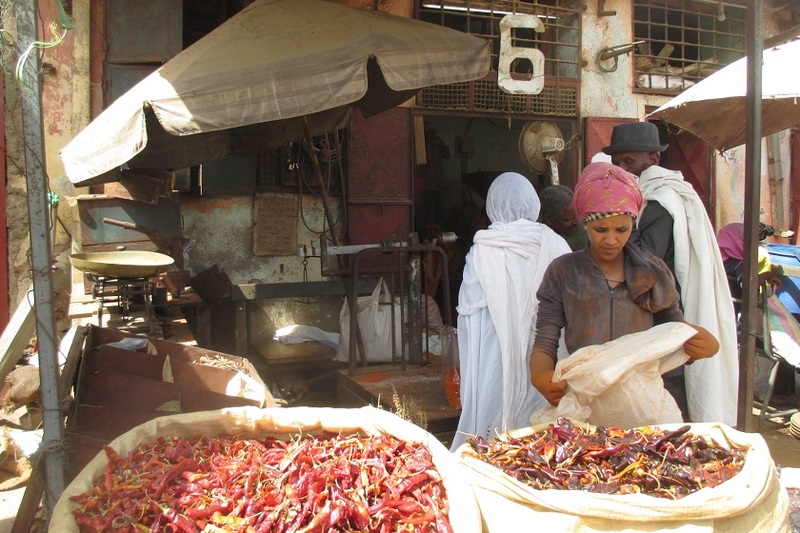 Raw chili wholesale - Medeber Asmara Eritrea. 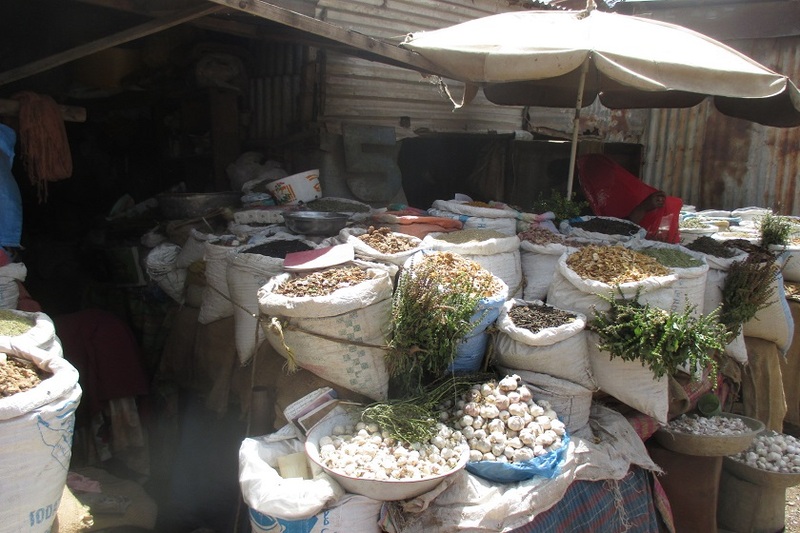 Workshop selling spices - Medeber Asmara Eritrea. 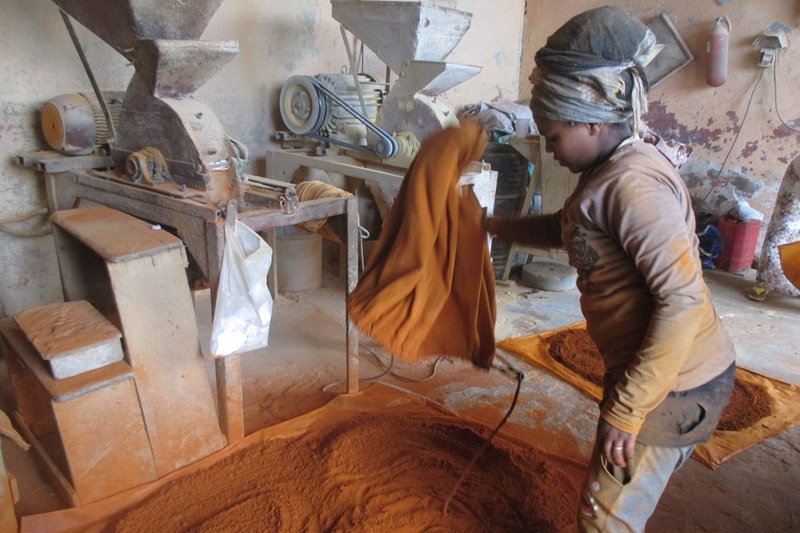 Workshop grinding chili - Medeber Asmara Eritrea. Salena! (picture us!) 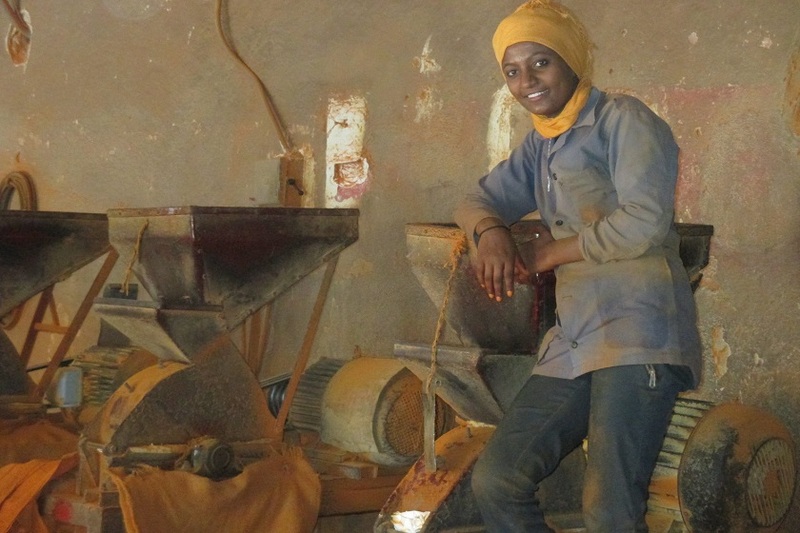 Female workers - Medeber Asmara Eritrea. 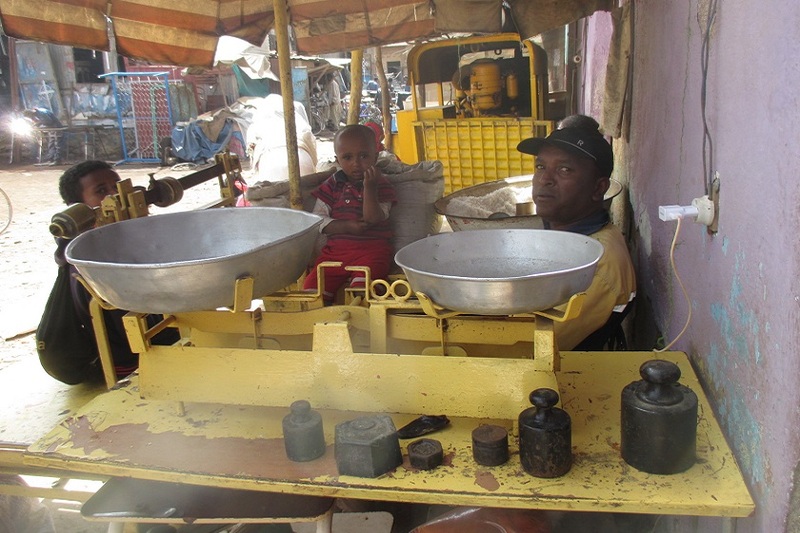 Workshop (spices grinders) - Medeber Asmara Eritrea. 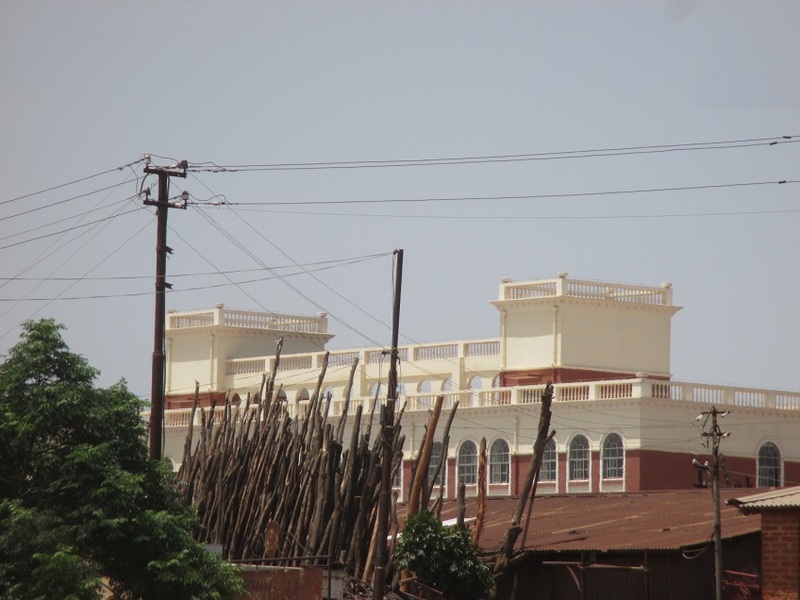 Spices wholesale - Medeber Asmara Eritrea. 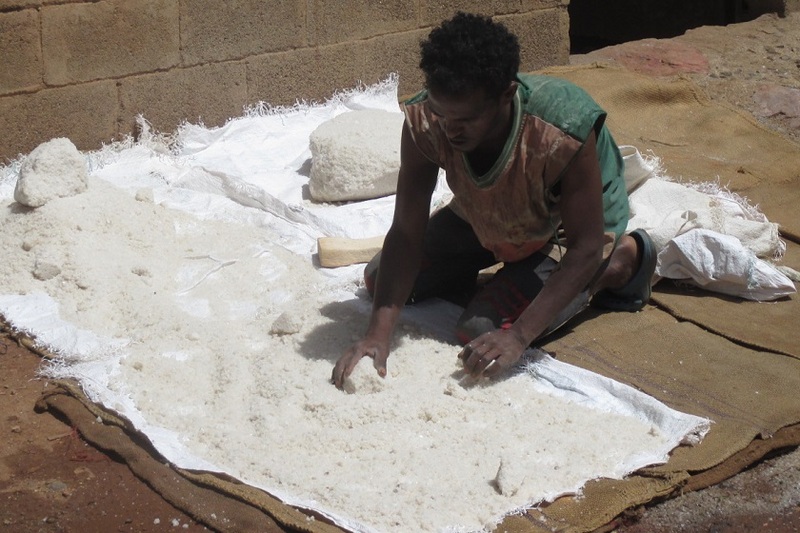 Salt processing - Medeber Asmara Eritrea. 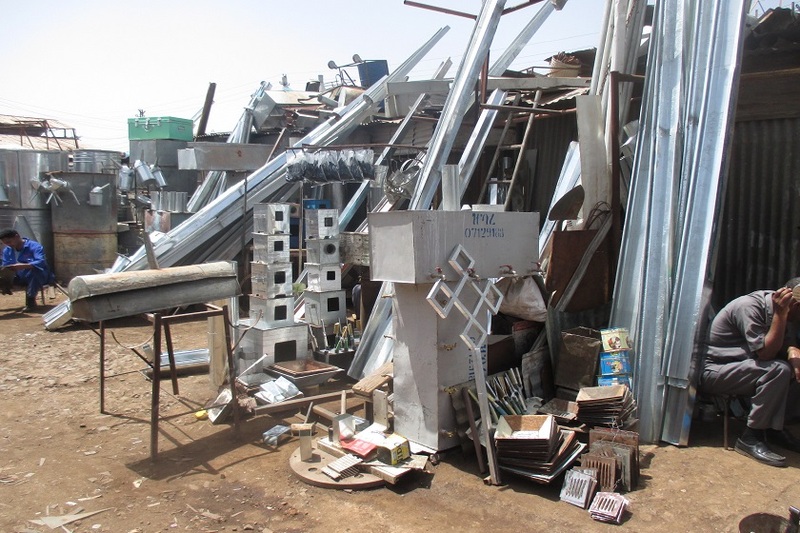 aluminium workshop - Medeber Asmara Eritrea. 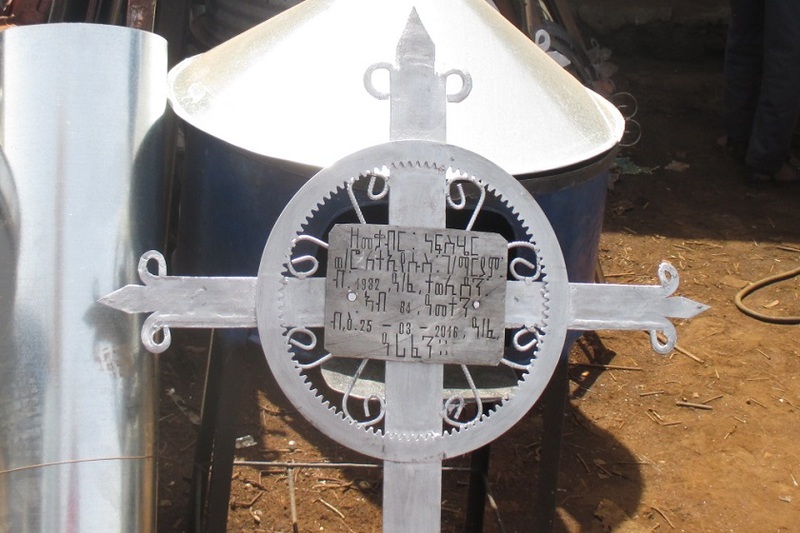 Grave ornament - Medeber Asmara Eritrea. 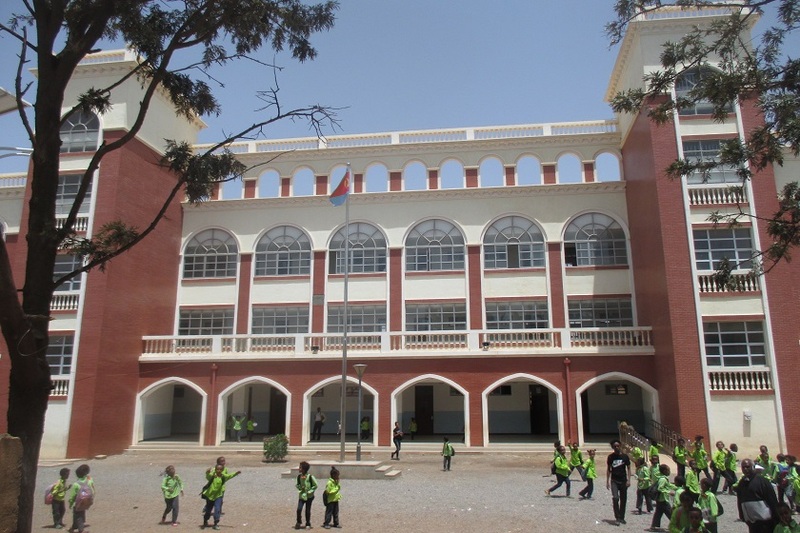 View on Erafajle Elementary School - Medeber Asmara Eritrea. 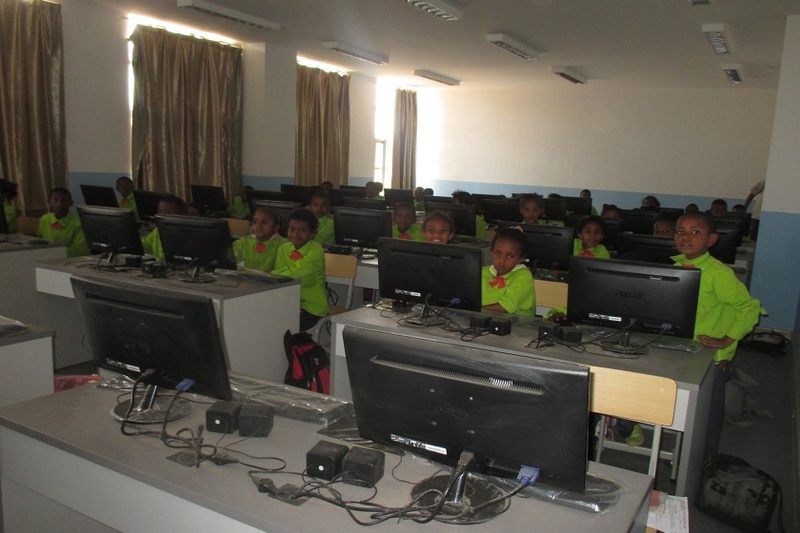 Erafajle Elementary School - Medeber Asmara Eritrea.